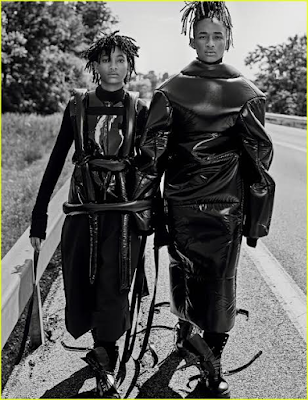 In their first joint cover, Willow and Jaden Smith posed together for Interview magazine in a high fashion shoot and sat down with Pharrell Williams for a Q&A. The teens opened up about a wide range of topics from their parents, generational discrepancies to where they see themselves in 10 years. 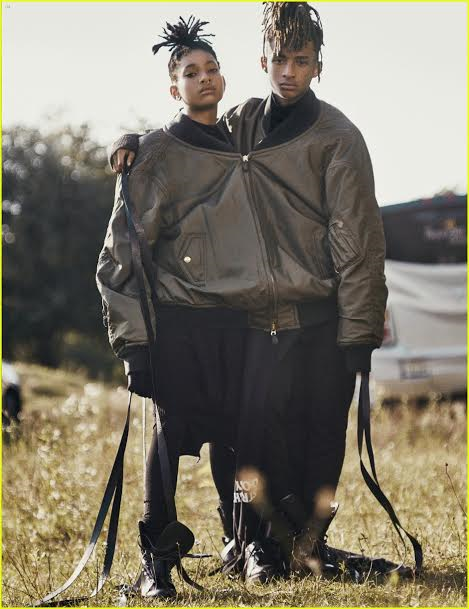 The siblings noted that sometimes they feel misunderstood by judgemental adults. "It seems like they don't understand our thought process. 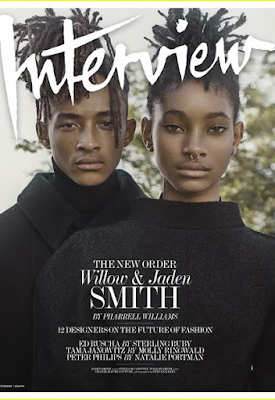 Or, like, things have happened in the past that they are still mad about," Willow,15, said. 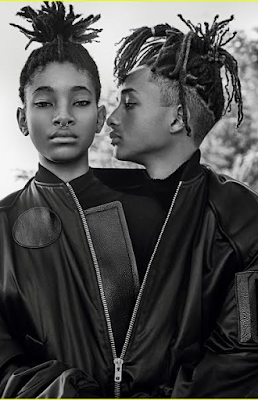 But that is OK as their famous parents...Will and Jada Pinkett Smith completely understand them and they couldn't be more proud of their parents. "My parents are definitely my biggest role models. And that's where me and Willow both pull all of our inspiration from to change the world," Jaden, 18, said. "Growing up, all I saw was my parents trying to be the best people they could be and people coming to them for wisdom, coming to them for guidance, and them not putting themselves on a pedestal, but literally being face-to-face with these people and saying, ‘Im no better than you, but the fact that youre coming to me to reach some sort of enlightenment or to shine a light on some- thing, that makes me feel love and gratitude for you. They always give back what people give to them. And sometimes they keep giving and giving and giving. And some people dont feel like they need to give anything back because its like, ‘Oh, if youre famous, you can just keep giving, and it doesnt matter. Its not just about money. Its not just about giving people gifts or whatever. What my parents have given to me is not anything that has to do with money or success or anything that society says people should be focusing onits something spiritual that only certain people can grasp and accept. And thats how I act and move in the world today. 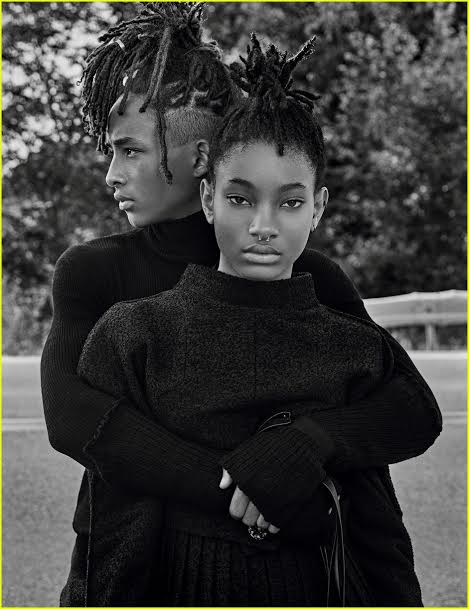 "I 100 percent agree with Willow on that one. My parents are definitely my biggest role models. 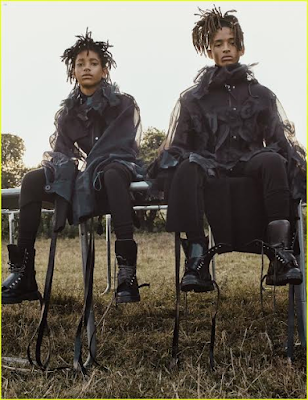 And thats where me and Willow both pull all of our inspiration from to change the world. It all comes from a concept of affecting the world in a positive way and leaving it better than it was than when we came. I feel like that enters into all types of different areas because there are so many different outlets that life has to offer for us. That goes into technology, into music. That goes into science, into spirituality, into education. Where me and Willow come from, a lot of it is trying to make society more efficient, so that kids dont cry, like, ‘Why do I have to go to school? Instead, kids are like, ‘Yeah! Im so glad to go to school! Im a better person than I was yesterday, and I can help people."